Weeks after resigning as mayor of Rio Grande City, Republican Ruben Villarreal has confirmed he will challenge longtime incumbent U.S. Rep. Rubén Hinojosa, Democrat of Edinburg, for his seat in Texas' 15th Congressional District. 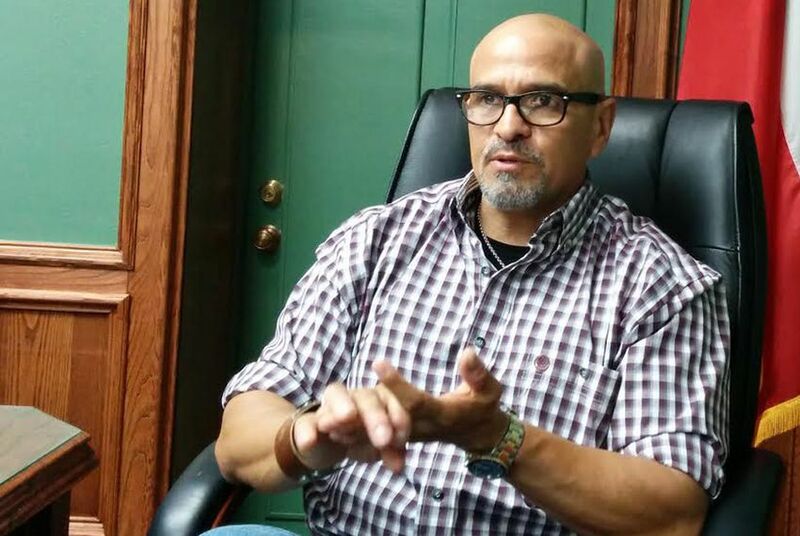 Just weeks after resigning as mayor of Rio Grande City, Republican Ruben Villarreal has his sights set on Congress. Villarreal, who was the border city's mayor of seven years, confirmed to The Texas Tribune on Sunday that he will challenge longtime incumbent U.S. Rep. Rubén Hinojosa, Democrat of Edinburg, in 2016. Hinojosa did not immediately respond to a request for comment. Villarreal was first elected mayor in 2001, holding a post that once belonged to his father. He has spent his entire life on the border, where he owns his family’s auto shop. After becoming one of the most visible surrogates on Gov. Greg Abbott's 2014 campaign, Villarreal made headlines last year when he came out as a Republican in one of the bluest parts of the state. His bid for Texas’ CD-15 could be an uphill battle. The district stretches from deep in the Rio Grande Valley, including cities like Edinburg and McAllen, up to Seguin and parts of New Braunfels. Hinojosa has held the seat since 1996, winning his last re-election in 2014 with 54 percent of the vote. CD-15 has leaned heavily Democratic in presidential election years; in 2012, Hinojosa won with an even wider margin of victory — 60 percent of the vote. President Obama carried the district by 16 points in 2008 and 2012. Flipping the seat would be major coup for the GOP, which is looking to bolster its appeal to Hispanic voters. All but one of Texas' Hispanic members of the U.S. House are Democrats. But Villarreal said his campaign could contribute to the changing face of the Republican Party. Hinojosa has also picked up a primary challenger in Mission police officer Paul Williams, who announced his candidacy last week. Correction: A previous version of this story said all of the Hispanic Texans in the U.S. House were Democrats. There is one Hispanic Republican — U.S. Rep. Bill Flores. And Villarreal has been mayor for seven years, not 14 years as an earlier version of this story said.